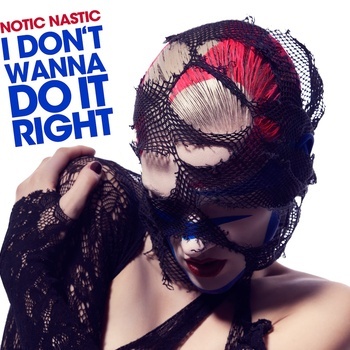 Got sent this sweet electronic dance track "I Don't Wanna Do It Right" by new NYC/Berlin collective Notic Nastic. Funny how trends come back around every decade or so and now would be just about time for an 80's new wave/electroclash type of revival which we are seeing and was pretty big around 2001/2002. Fischerspooner anyone? When the chorus kicks in on this tune it's pretty sweet and their lead singer's got some power behind her. Can't wait to hear the rest of their album 'Fullscreen' which should be out soon. In the meantime check out the track/video for the track below and a couple remixes on their bandcamp.